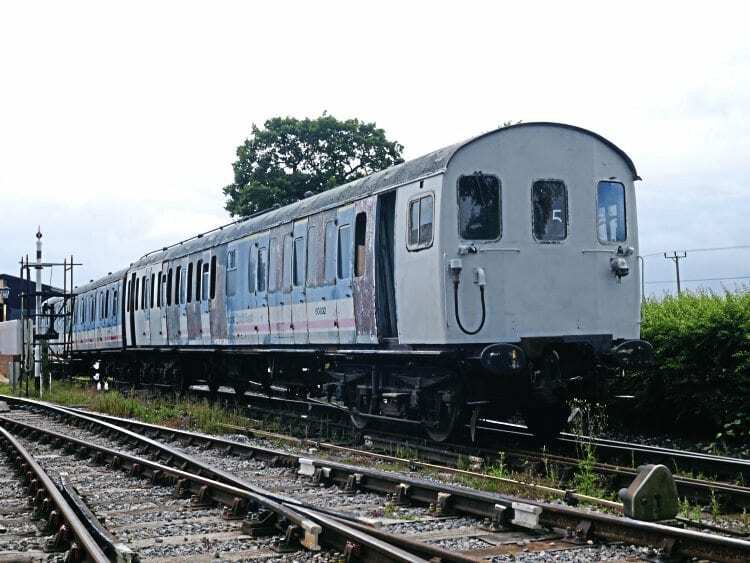 WORK is continuing on creating a replacement for Class 207 DEMU DTSO No. 60901 of set No. 1302, which was totally destroyed following an arson attack at the Swindon & Cricklade Railway (S&CR) in May 2016. Power car DMBS No. 60127 was damaged but can be returned to traffic when a trailer car is available. Class 205 DTCL No. 60822 was donated by a private owner to the S&CR as a replacement trailer car and is receiving attention to return it to use. However, when restoration started it was found the nearly 50-year-old bodywork required a lot more work than expected regarding previously hidden steel and panel work. While good progress is being made the fact is the group is short of skilled welding and steel fabricating people. They are therefore seeking suitable competent people willing to lend a hand as part of a group to work on different weekends to speed up completion of the essential work on this vehicle. The DEMU has been the railway’s main revenue earner in recent years, so while out of action the financial loss is being felt. A phenomenal response has been received since the appeal for more people to help was first put out and a second appeal for the loan of MIG welding equipment for the duration of the vehicle’s restoration has been launched. The railway guarantees the equipment will be used with the greatest care and kept securely locked away when not in use. Anyone able to help with this vital project should email Adrian Thompson at adge-peanuts@hotmail.co.uk, or telephone 07402 050559.